Compression clothing boasts a number of potential benefits, from improved performance to better recovery and a reduced chance of injury. The true effectiveness of compression clothing depends on a lot of design factors though. The compression clothing range from Swiss brand Compressport features some of the most effective products that I have tried to date. 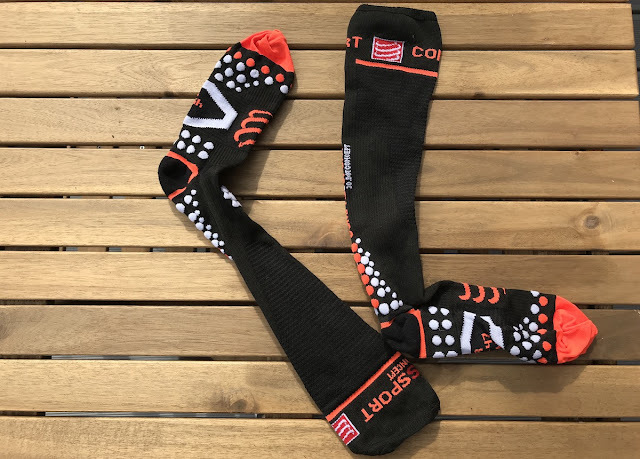 In this review, I am looking specifically at the Compressport V2.1 Full Length Socks, and the Compressport Full Leg Compression Sleeves. The Compressport Full V2.1 Socks are designed to be the only compression socks you will ever need. Whether you are wearing them for recovery, running, travel, or everyday, they feature a multitude of design considerations that aid both comfort and performance. The most important thing with compression clothing is that they do compress your muscles; promoting blood flow to and from your extremities. Compressport use a very detailed sizing chart to ensure that you get the right fit to optimise product performance. The fit is one factor, but you also need to consider comfort. Some compression socks are very sweaty and restrictive; so while they might aid blood flow, they promote hot spots, blisters, and an uncomfortable heat build-up. The Compressport V2.1 Full Socks are some of the most breathable and comfortable compression socks that I have used. This is the result of breathable woven fibre panels built seamlessly into the design, as well as the unique 3D Dot design that helps to wick away moisture and relieve sensitive pressure points. The Full Length Compressport socks also feature supportive arch compression, and anti-fatigue cushioning on the ball and heel of the foot. The above features really shone through when I used these socks for the 33 mile trek on the #WildWight challenge. Despite it being close to 30 degrees Celsius, these socks were comfortable and cool. The supportive compression fit was also effective at reducing pain in my arches and calves, both areas that I had expected to suffer from fatigue after 11 hours of walking. Put simply, these are one of the most comfortable pairs of compression socks that I have worn, and they seem to deliver obvious benefits in terms of comfort and reduced fatigue. For recovery, full leg compression is the most effective way to ensure blood flow is promoted throughout the complete network of muscles in your legs. The Compressport Full Leg Sleeves provide a unique leg-warmer style compression sleeve, which improves flexibility compared to wearing tights, but still delivers the benefits of compression. The fabric used in the Compressport Full Leg Sleeves is highly breathable and thinner than most compression tights. It is a woven fabric too, rather than Lycra, so it feels softer and less sweaty. The sleeves have a notable compression effect on your muscles, and leaves them feeling supported and stable. I believe there is a notable difference to recovery and comfort when wearing these. 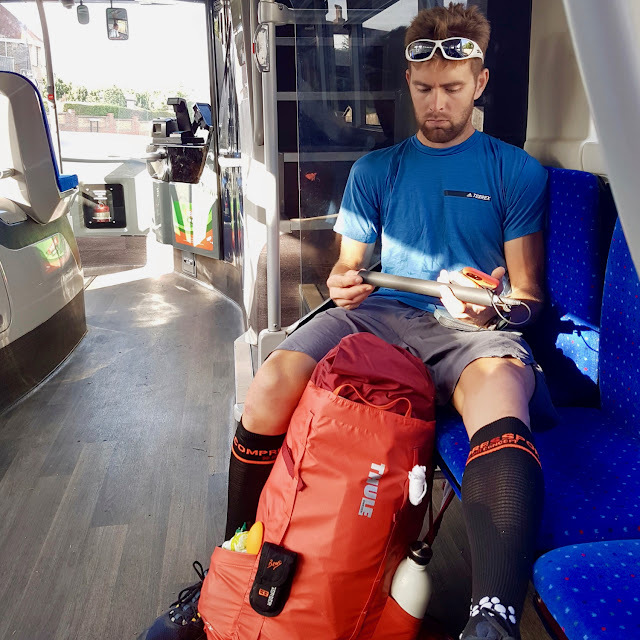 Overall, both the socks and sleeves from Compressport seem to be exceptionally well made, comfortable to wear, and effective in delivering the benefits of compression.